Growing up in the small town of Alpine Grove, Beth Connelly was the weird, shy kid who hid in the back room of her mother’s bookstore. But all that study time led to being the class of 1985 valedictorian, a college scholarship, and a dream job offer in Arizona. Ten years later, her life is almost perfect. But not for long. 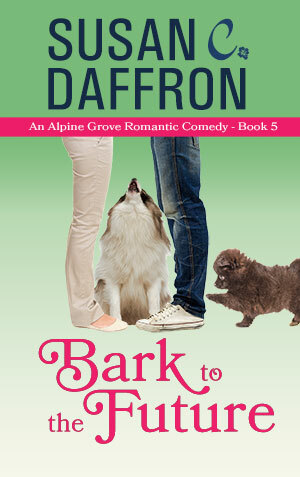 Beth returns to Alpine Grove after an unfortunate series of events, just in time for the 10-year high school reunion she vowed not to attend. But her vow is no match for a sneaky former cheerleader who tricks her into going. While she’s there, she runs into the one person she hoped to never see again: Drew Emery. Drew is just as easy to talk to as ever, and maybe she shouldn’t have said all those terrible things to him so long ago. But everyone deserves a second chance, right? Sign up for Susan’s Book Release Notices and be the first to find out when new books are available!